The Dog Tag Survival Knife is a multi-functional tool that is perfect for the outdoor enthusiast. 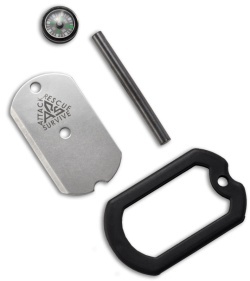 You can attach the Dog Tag Survival Knife to a handle by lashing the blade through the two holes. A simple shoelace and a stick transforms into a useful tool without carrying cumbersome equipment. Slide the blade out of the protective case & reverse so the notch lines up with the notch in the case. The friction caused by rubbing the steel blade with the ferrocerium rod creates sparks to start a fire. The reflective stainless steel surface of the Dog Tag Survival Knife can be used to signal recue personnel. The sight hole in the center of the blade gives you control in directing the reflected light to alert rescuers to your position should an emergency arise. The incredibly strong Heat-Treated 440C Stainless Steel Blade can handle the rigors of the outdoors. Easy to wear on a 27" chain, it's a favorite of hikers and climbers. 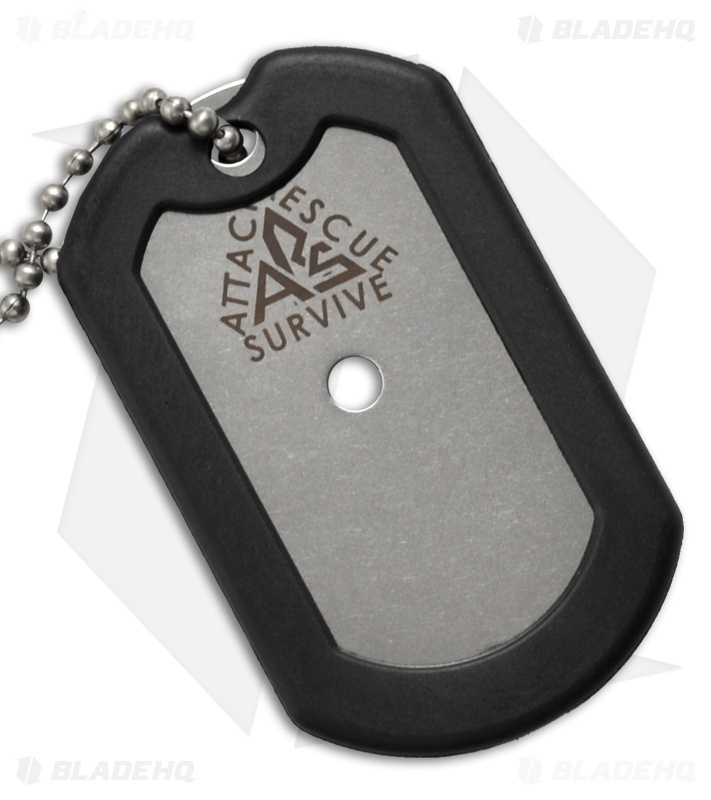 The inconspicuous dog tag design also makes the Dog Tag Survival Knife (2.00" x 1.25") a great self-defense tool. Finally, an easy-to-read button compass keeps you on course. A black protective case safely locks in all of the components.